To examine whether the two-item version (CD-RISC2) of the Connor–Davidson Resilience Scale (CD-RISC) has adequate internal consistency and construct validity, as well as significant correlation with the full scale, and to provide normative data for the CD-RISC and the CD-RISC2 in a Chinese general population in Hong Kong. In total, 10,997 randomly selected participants aged ≥20 years completed the Chinese version of the CD-RISC (including the 2 items of the CD-RISC2), the Patient Health Questionnaire, Family Harmony Scale, Family APGAR, and CAGE Questionnaire. Internal consistency and convergent and discriminant validity of the CD-RISC and CD-RISC2 were assessed. Cronbach’s α for CD-RISC and CD-RISC2 was 0.97 and 0.79, respectively. CD-RISC2 was associated with the 25-item version of the CD-RISC (r = 0.88), depressive symptoms (r s = −0.18), family harmony (r = 0.20), family functioning (r = 0.27) and was not associated with alcohol consumption (r = 0.05). The mean score for the CD-RISC and CD-RISC2 was 59.99 (SD = 13.92) and 5.03 (SD = 1.37), respectively. 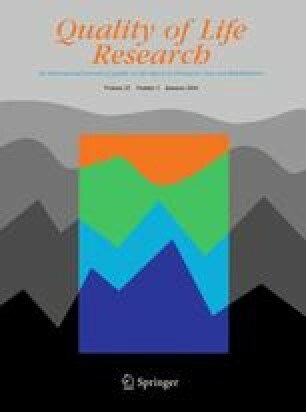 Men, younger individuals, and those with higher education or higher household income reported higher resilience levels. The Chinese version of the CD-RISC2 was demonstrated to be a reliable and valid measure in assessing resilience among the general population in Hong Kong. The Hong Kong Jockey Club Charities Trust was the sole funder of the FAMILY Project from 2007 to 2014. Some of the Family Harmony Scale items were taken from the Chinese Family Assessment Instrument with the permission of Professor Daniel Shek. We thank Betty Yuan for technical assistance. Kavikondala, S., Stewart, S. M., Ni, M. Y., Chan, B. H., Lee, P. H., Li, K. K., et al. (2015). Structure and validity of Family Harmony Scale: An instrument for measuring harmony. Psychological Assessment. doi: 10.1037/pas0000131.